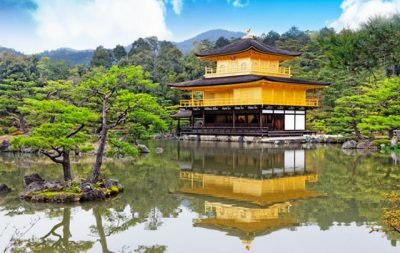 What is Kinkakuji Temple (Golden Pavilion)? Kinkakuji is a Zen temple located in northwest Kyoto. It was built in 1397 by Ashikaga Yoshimitsu, the third shogun of the Muromachi shogunate. Although the formal name of this temple is “Rokuonji”, it is widely known by the name “Kinkakuji” because of its golden pavilion “Kinkaku”, which draws most people’s attention. Kinkakuji is the leading symbol of the flamboyant Kitayama culture (late 14th century to early 15th century) and was registered as a UNESCO World Heritage Site in 1994. 1. Kinkaku’s Different Architectural Styles on Each Floor. 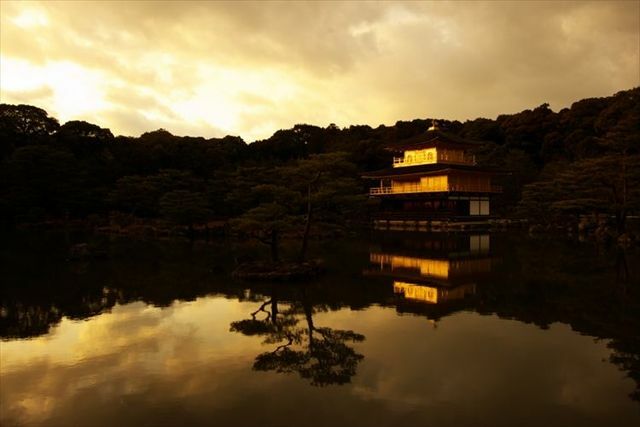 The golden pavilion Kinkaku has 3 floors, and each one was built in a different architectural style. 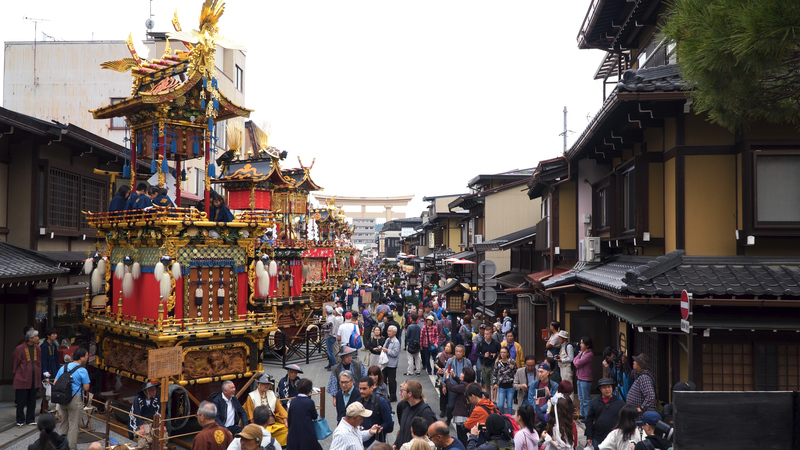 The 1st floor, at the bottom, was built in a manner of the Heian period’s palatial architecture. 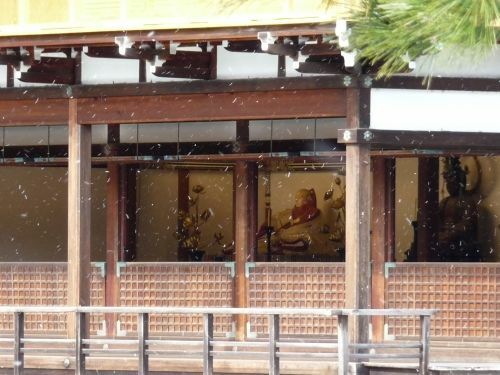 Its inside is called “Hosui-in”, which is where the statues of Houkan Shaka Nyorai and Ashikaga Yoshimitsu are kept. 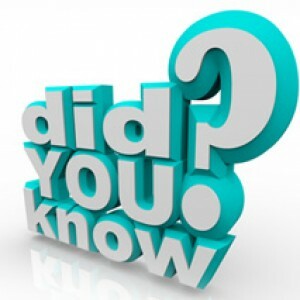 The 2nd floor was built in the manner of a samurai’s residence, followed by the 3rd (top) floor designed like a Buddhist temple of the Zen sect. The outside of the 2nd and 3rd floors is covered with golden foil, which reflects the sunshine and sparkles all day long. 2. 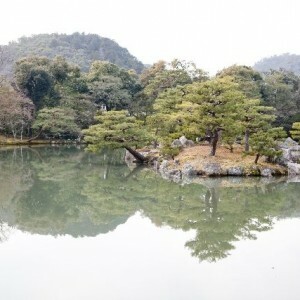 The Chisen Kaiyu Shiki– The Style of the Gardens, Featuring Paths around the Pond. 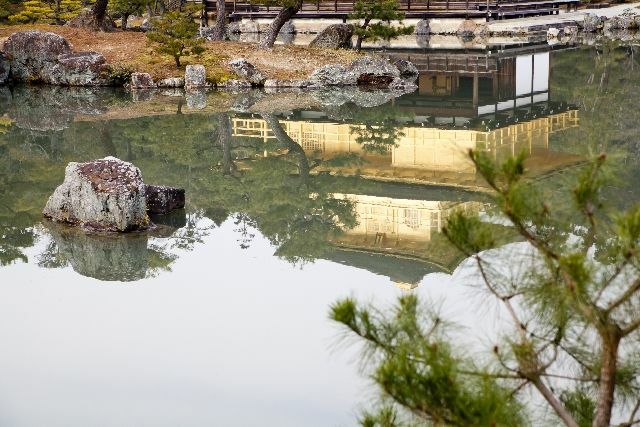 Although Kinkakuji is well known for its magnificent Kinkaku, more than a half of the entire area consists of a garden that features paths around the Kyokochi Pond. Kyokochi pond contains islands, which include Ashihara-jima Island, Tsuru-jima Island, and Kame-jima Island, as well as numerous famous, strangely shaped rocks, such as Hatakeyama-ishi Rock, Akamatsu-ishi Rock, and Hosokawa-ishi Rock. 3. The Glorious Kinkaku at Sunset. 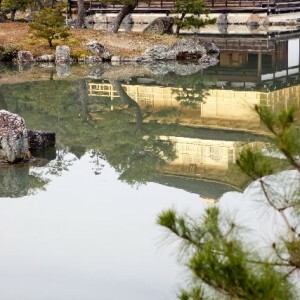 Kinkaku changes color minute by minute in the light of the sunlight and the reflection of the natural setting around it. However, Kinkaku shows its most exquisite beauty at sunset. Kinkaku during sunset sparkles orange, as if it caught on fire. Rokuonji, also known as Kinkakuji, was built in 1397 by Ashikaga Yoshimitu, the third shogun of the Muromachi shogunate. 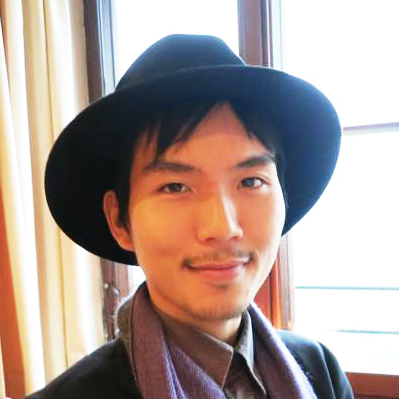 Its flamboyant and glorious appearance represents Kitayama culture, which was prevalent in the early Muromachi period (late 14th century to early 15th century). 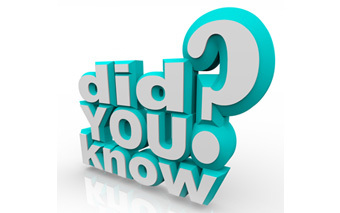 In the latter half of Muromachi period, when the Higashiyama culture flourished (15th century), another temple, Ginkakuji, was built on the opposite side of Kyoto city. 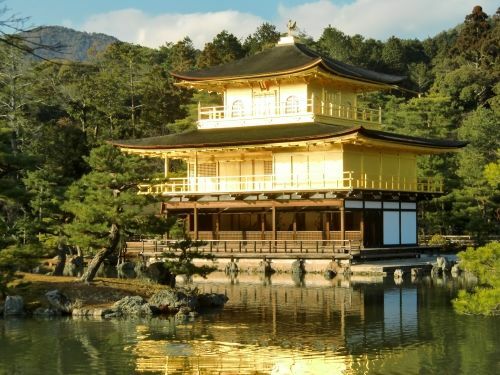 Both the Kinkakuji and Ginkakuji temples are highly appreciated as the part of Muromachi cultural heritage. 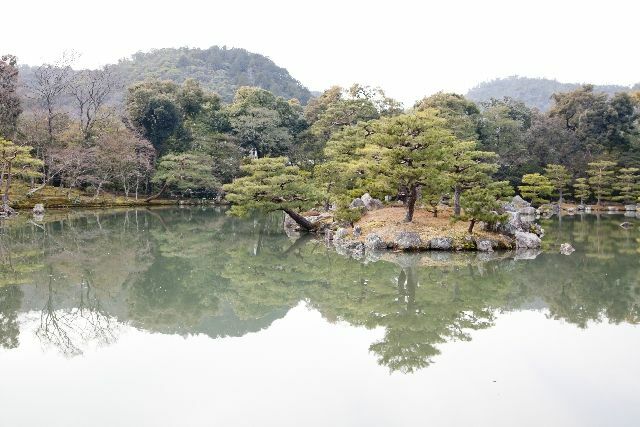 Longing for the beauty of Kinkakuji, many Japanese authors have written their stories with Kinkakuji as a theme, including “Kinkakuji” by Yukio Mishima, “Gobancho Yugirirou” and “Kinkaku Enjo” by Tsutomu Minakami. These literary works depict Kinkakuji’s great attraction.